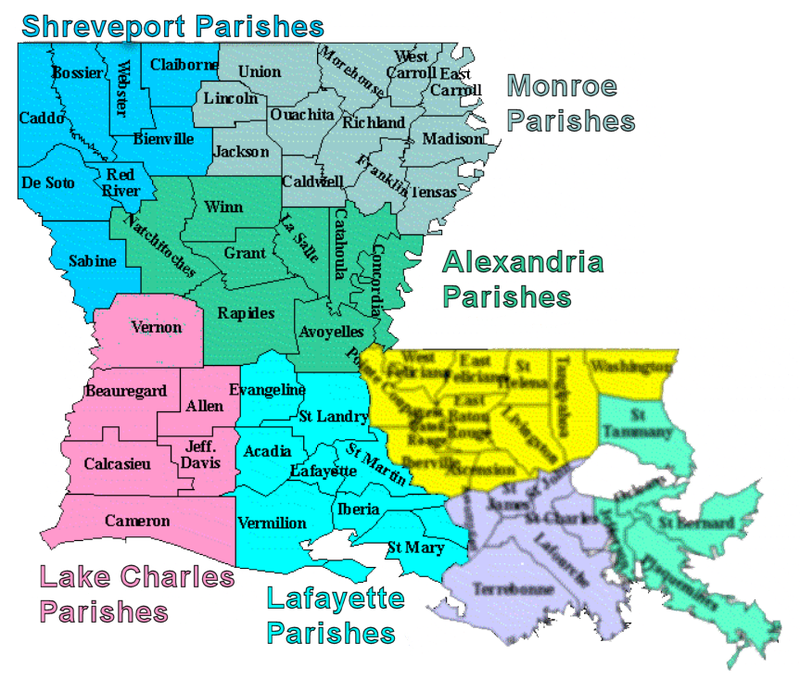 The Western District of Louisiana presently consists of 42 of the 64 parishes in Louisiana. Until 1984, the district consisted of six (6) statutory divisions, named for the six (6) authorized places of holding court, to wit: Alexandria, Lafayette, Lake Charles, Monroe, Opelousas and Shreveport. In 1984, at the request of the court, Congress abolished statutory divisions in the Western District of Louisiana, but retained the authorized places of holding court. 28 U.S.C. 98c. Today, the court is divided into five administrative divisions: Alexandria, Lafayette, Lake Charles, Monroe, and Shreveport. LR 77.3. These divisions are set by vote of the authorized judges in the court. Click a parish below to visit a court location.